Stain-Crete is a deep penetrating concrete stain system that creates beautiful, mottled color tones in existing concrete. Designed for use on old or new concrete in both prestigious commercial projects and intimate residential spaces, Stain-Crete's unlimited design capabilities transform ordinary concrete into a limitless pallette of color and design. The hardworking Stain-Crete system provides a distinctive and aesthetically pleasing, low maintenance surface that's as beautiful as it is durable. Due to its deep penetrating formula, Stain-Crete is resistant to the peeling, chipping and cracking of conventional masonry paints and stains. Create an aura of elegance with the richness of Stain-Crete. 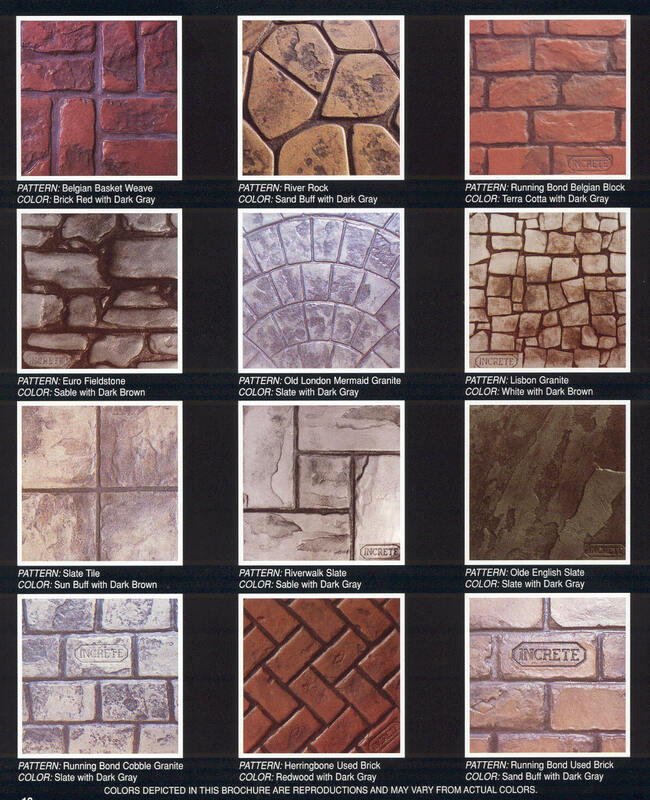 Stamped concrete is a system that duplicates nature’s texture with incredible realism. INCRETE is available in awide array of patterns duplicating granite, slate, stone, brick and even wood. INCRETE boasts a myriad of standard colors that challenge the eye to tell the difference between an INCRETE slate, granite, or stone application and the real thing. What's more, INCRETE can be installed at a fraction of the cost of conventional materials, all the while offering superior durability and requiring less maintenance. Create an aura of elegance in and around your home or property with the realistic natural beauty of INCRETE. STONE-CRETE is a patented cast-in-place decorative concrete wall system that duplicates the look of hand laid stone at a fraction of the installation time and cost of natural materials. STONE-CRETE is as versatile as it is beautiful with an ideal blend of aesthetic beauty and functionality for use in a wide variety of commercial and residential applications. As a cast-in-place system, STONE-CRETE is not a veneer, but a re-enforceable structural wall system ideal for retaining walls, foundation walls, bridge abutments and dams. In addition, STONE-CRETE's natural aesthetic beauty lends perfectly to non-structural applications such as subdivision entryways, landscaping accents and highway sound barrier walls. 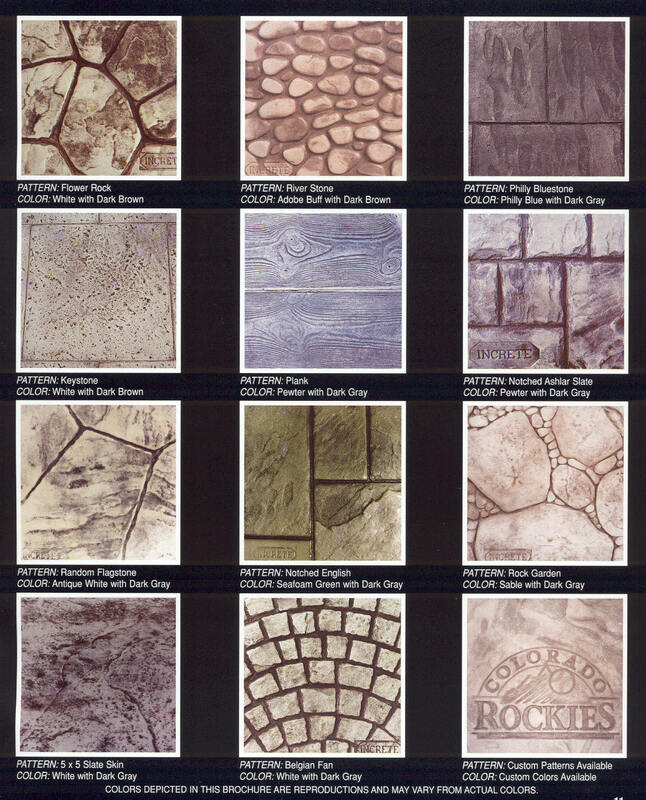 Available in 10 standard deep relief patterns, STONE-CRETE's unique and patented coloring process allows for unlimited color capabilities giving total flexibility to match any design theme or specification. 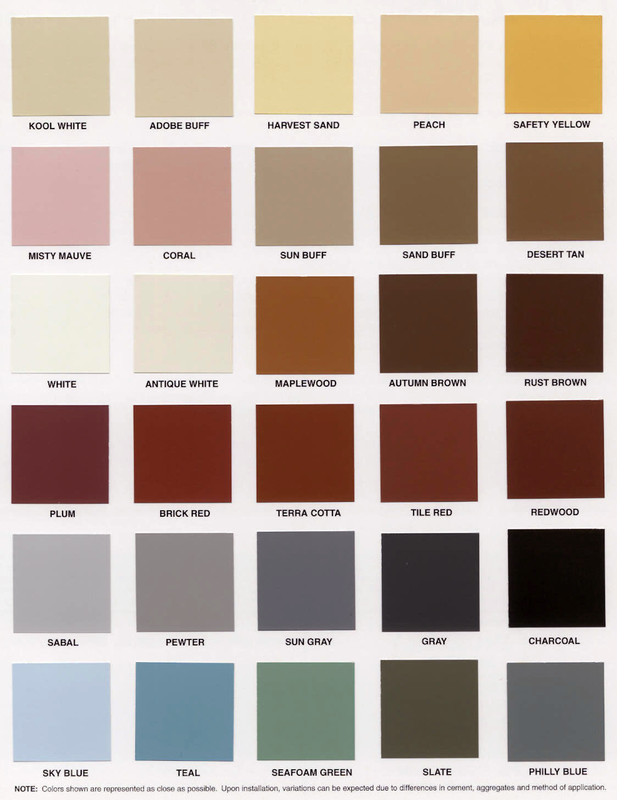 COLOR-CRETE brings functionality, durability and most of all beauty to any environment. Currently available in 30 standard colors, the COLOR-CRETE, integral coloring system for concrete, gives you the freedom to add pizzazz and design to what has been considered plain and bland. 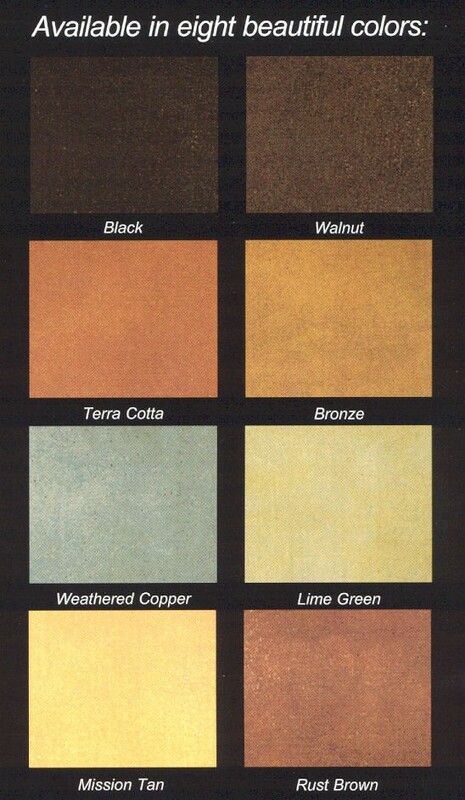 COLOR-CRETE gives you the freedom to blend your plain concrete to become a subtle part of the environment. Whatever your desire, COLOR-CRETE turns ordinary concrete into bold and exciting structures that burst with color making it ideal for theme parks, city plazas and amphitheaters. COLOR-CRETE can also act as a subtle addition to any landscape, matching surroundings such as golf course cart paths, highway sound barriers or retaining walls. Whether your plans call for a dazzling and exciting sitescape or a subtle complimentary landscape, COLOR-CRETE transforms the proven medium of concrete into a workable artistic material that can match any theme or decor. The Ultimate Cover Up for plain, old or unsightly concrete, SPRAY-DECK and TEXTURE-CRETE are decorative concrete overlay systems designed to transform ordinary concrete into bold and exciting textured surfaces. Available in a wide array of colors and patterns, SPRAY-DECK and TEXTURE-CRETE are ideal for a host of residential and commercial applications from driveways, sidewalks, and walkways, to patios, entryways and pool decks, or wherever a beautiful and highly durable surface is desired. The unique chemistry of SPRAY-DECK and TEXTURE-Crete creates an incredibly durable system with a surface strength twice that of regular concrete that is low maintenance, and resistant to staining and mildew. SPRAY-DECK and TEXTURE-CRETE's textured surface, while beautiful, creates a safety first non-skid surface ideal for pool decks, patios, and walkways or wherever a non-skid surface is desired. Extend the life and enhance the beauty of your home or property with the durable and elegant SPRAY-DECK and TEXTURE-CRETE systems. 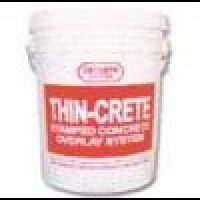 THIN-CRETE is a stamped concrete overlay system designed as a cover-up for existing concrete surfaces. THIN-CRETE duplicates the look of natural stone, slate and granite in deep relief patterns over existing concrete surfaces eliminating the hassle and expense of concrete replacement. Applied at 1/4" to 3/8" of an inch over existing slabs, THIN-CRETE is actually stronger and more durable than concrete making it perfect for residential and commercial use in applications ranging from pool decks, patios and driveways to hotel lobbies, shopping centers and retail stores. Whatever your application, the THIN-CRETE stamped concrete overlay system can be colored and textured to match any design theme or specification giving you an incredibly versatile flooring system that's as durable as it is beautiful. The Ultimate Cover Up for plain, old or unsightly concrete, SPRAY-DECK and TEXTURE-CRETE are decorative concrete overlay systems designed to transform ordinary concrete into bold and exciting textured surfaces. Available in a wide array of colors and patterns, SPRAY-DECK and TEXTURE-CRETE is ideal for a host of residential and commercial applications from driveways, sidewalks, and walkways, to patios, entryways and pool decks, or wherever a beautiful and highly durable surface is desired. The unique chemistry of SPRAY-DECK and TEXTURE-CRETE creates an incredibly durable system with a surface strength twice that of regular concrete. It is low maintenance, and resistant to staining and mildew. SPRAY-DECK and TEXTURE-CRETE's textured surface, while beautiful, creates a safety first non-skid surface ideal for pool decks, patios, and walkways or wherever a non-skid surface is desired. Extend the life and enhance the beauty of your home or property with the durable and elegant SPRAY-DECK and TEXTURE-CRETE systems.